Registration for the tournament costs $20 and includes a free event t-shirt. 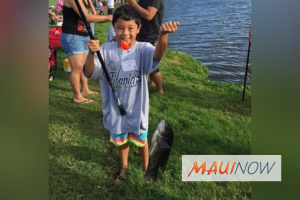 Online registration will begin at 7 a.m. on Tuesday, March 5 on the Maui United Way website . All registrations will be completed online for this yearʻs tournament. Registration will remain open until 12 p.m. on Thursday, March 7 or until the 650-participant cap is met, whichever comes first. Registration is confirmed at the time of payment. Anyone in need of registration assistance can contact Maui United Way at (808) 244-8787.